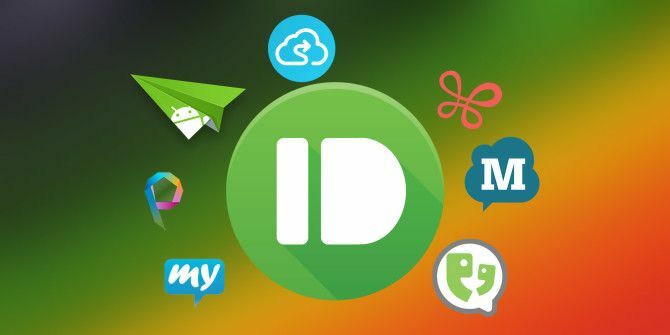 Pushbullet was one of the best things to happen to Android in a while — it offered utilities like quickly transferring files between devices, sending SMS messages from your PC, and even setting chore reminders 9 Smartphone IFTTT Tricks to Make Your Life 100x Easier 9 Smartphone IFTTT Tricks to Make Your Life 100x Easier IFTTT lets you automate aspects of your life without requiring any technical knowledge whatsoever. Here are some quick IFTTT smartphone tricks that can ease the stresses of everyday life. Read More — but the bad news is that Pushbullet is no longer free. Well, technically there is still a free version, but it’s so gutted and crippled compared to what was previously available that it feels insulting to use, and if you want to make use of the Pro features, the price is just obscene ($5 per month). Fortunately, there are several free alternatives that you can turn to if Pushbullet has left a sour taste in your mouth. Similarities: Remote SMS, mirrored notifications, file transfers. If you’re looking for an app that’s basically “Pushbullet but not Pushbullet”, then AirDroid is the one you want. Whatever Pushbullet can do, AirDroid can do as well: mirrored notifications, file and folder transfers, remote dialing, and more. In fact, AirDroid can do some things that Pushbullet can’t, including the ability to view your camera remotely from your computer, take photos of people trying to break into your phone, and dial your phone remotely. The downsides to AirDroid are that it isn’t as user-friendly as Pushbullet when it comes to setup and operation, and it also has a paywall like Pushbullet. However, the $2 per month cost of AirDroid is far more reasonable. Similarities: Remote SMS, mirrored notifications, accept/reject calls. It’s no coincidence that Pushline’s name is so similar to Pushbullet — the former is basically a clone (or knockoff) of the latter, except completely free. Seriously: no advertisements, no in-app purchases, and no premium version. It has most of Pushbullet’s features, including mirrored notifications to other devices, writing and replying to SMS messages remotely, sending notes/links/websites between devices, and synchronizing your phone’s clipboard with your desktop’s. Unfortunately, it doesn’t yet have support for file transfers. However, it can make/accept/reject calls remotely, mute/unmute your phone remotely, and even find your phone if you happen to lose it Find My iPhone for Android? Meet Android Device Manager Find My iPhone for Android? Meet Android Device Manager Jealous of the iPhone's Find My iPhone app? Well, lucky for you there's an equally awesome app for Android called the Android Device Manager! Let's take a look at it. Read More . Similarities: Remote SMS, mirrored notifications. MightyText consistently remains one of our preferred ways to send free SMS messages from your PC How to Send a Free SMS Text Message from Your Windows PC How to Send a Free SMS Text Message from Your Windows PC Do you avoid sending text messages from your phone? How much more convenient would it be to send them from your computer? We have compiled the best desktop tools to send text messages for free. Read More , but the catch is that MightyText is a browser solution rather than a desktop solution like Pushbullet. If that’s a dealbreaker for you, then go ahead and skip to the next one. MightyText allows the synchronization of notifications, photos, videos, and SMS messages between your Android phone, Android tablets, and desktop browsers (Chrome, Firefox, Opera, Safari, and IE), and it allows you to send SMS messages from connected devices. It’s free with a 500-per-month message limit. There is a Pro version that unlocks a few advanced features: scheduled SMS messages, bulk messaging to multiple contacts, sending SMS messages by email, SMS message templates, blocking numbers, no limits, no ads, and more. The $5 per month cost is a bit steep, though. Like MightyText, Yappy (formerly Endless Jabber) is a way to synchronize your Android phone with your Android tablets and desktop PCs through the Yappy web app (extensions only exist for Chrome and Firefox). Feature-wise, Yappy is simpler than MightyText: it can send and receive encrypted SMS messages, synchronize notifications, and initiate calls remotely. That’s about it, but if those were the only Pushbullet features you were using, then Yappy is the ideal alternative for you. Yappy’s free version has no message limit, which gives it a slight edge over MightyText, but it has ads and only retains messages for 14 days. The Pro version removes ads, has unlimited message retention (making it good for SMS backups), allows message scheduling and searching, and more for just $2 per month. Similarities: Remote SMS, desktop app. Here’s yet another app that synchronizes SMS messages from your Android phone to your Android tablets, iPads, and desktop computers — but unlike MightyText and Yappy, MySMS provides desktop apps in addition to a web app (but only for Windows and Mac). Unfortunately, the features are pretty limited. 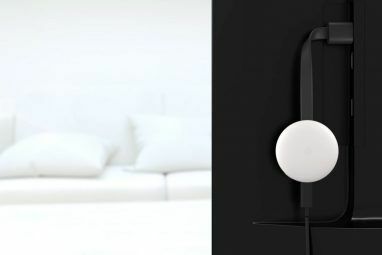 Apart from sending and receiving messages remotely, you can get notified when your phone receives a call. At least there’s no limit on how many messages you can send each month. For $10 per year, you can upgrade to a Premium account that can backup and store messages, schedule message sending, archive messages to the cloud (Dropbox, Evernote, or Google Drive), export your entire SMS inbox, and manage calls from the computer. At less than $1 per month, that’s not bad at all. Infinit is a neat little tool for people who used Pushbullet for its file transfer capabilities The Fastest File Transfer Methods Between PCs and Mobile Devices The Fastest File Transfer Methods Between PCs and Mobile Devices PC-to-mobile files transfers are easy to do. This article covers five fast transfer methods between PCs and mobile devices. Read More rather than its SMS or notification features. With Infinit, sharing files from one device to another has never been easier. The app is available for Android, iOS, Windows, Mac, and Linux, so you can rest assured that Infinit will work across all of your devices. It’s easy to use, able to send files and folders, secured with encryption, and robust enough to detect disconnections and finish when your connection is reestablished. Infinit’s free account allows unlimited transfers with a size limit of 10 GB. You can increase that to 50 GB with a Plus account (either $6 or 2 friend invitations every month). For unlimited file sizes, you’ll need the Professional account at $8.50 per month. Send Anywhere is like Infinit but arguably better, depending on which features are important to you. It’s available as an app for desktops (Windows, Mac, Linux), mobile devices (Android, iOS, Windows Phone, Amazon Kindle), Chrome, and the web. When you want to send a file, Send Anywhere uploads it to its servers and generates a six-digit key. Anyone can enter that key into Send Anywhere to begin downloading said file from the servers, but only if they enter it within 10 minutes. When the key expires, the file is deleted. No sign-ups required, everything is done anonymously, and it’s 100% free — there are absolutely no limits on the number of files or the size of files. It’s unfortunate that Pushbullet did what it did. All we can do now is hope that they alter their pricing model, which is unlikely, or move on to one of these replacement apps. It’s a shame that only AirDroid and Pushline are close to being full stand-ins. Notifications are a big deal, so once you’ve switched over to whichever alternative you like best, don’t forget to further enhance your Android notification experience Enhance Your Android Notification Experience With Floatify Enhance Your Android Notification Experience With Floatify For an improved notification system that pops out at you, check out Floatify. Read More . On the other hand, if all you wanted was a lighter-weight version of Pushbullet that only had the features you actually used (e.g. file transfers), then some of these apps may be exactly what you needed. In that case, go ahead and disable the notifications you don’t need How to Disable Notifications from Any App in Android How to Disable Notifications from Any App in Android Getting annoying ad notifications on your Android device? Turn them off quickly and easily. Read More . So which alternative are you going with? Or are you just going to stick with Pushbullet? Let us know what you’re thinking in the comments below! Explore more about: File Management, Instant Messaging, Mirroring. Sorry to be late to the party, but I have read that Cortana is a viable alternative to Pushbullet. Or is it not? Sadly, it does NOT include 500 messages per month - only 150!!!! I guess I'll keep looking, but it might be time for you to re-visit and update your article. 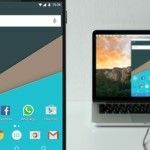 Pushbullet is the only solution when you bounce between a personal mobilephone, a work mobile phone, a personal tablet and several browsers at home and work. That is to say unless I've missed something here? I would go with pushbullet as it's more user-friendly than AirDroid. The features which I need (notifications and SMS reading, file transfers) are fortunately available for free with pushbullet. No, not even in the same world. You are promoting your own app, but giving bad impressions while doing so. I use pushb only for sms but it works on firefox too. I don't like apps working only on googlechrome. But there is now the best alternative : vocal message still with google (but with android we can escape google). Mac and android are the must for phone (unfortunatly). Pushline is not really alternative to pushbullet. I use pusbullet to read notifications and rarely send sms so they can put their message saying i must go on pro I won't and if they make me fed up about their pushbullshit I will uninstall it. It's more an advert than an app . While I really like Airdroid, one of my MAIN issues with Airdroid, is their decision to NOT allow more than 1 Windows Machine to be logged in at a time.. which makes it WORTHLESS!!!! You need a dictionary. Allowing only one Windows machine doesn't make Airdroid "worthless". It is a restriction, but I've used Airdroid, and wasn't even aware of that restriction. Obviously, it's not worthless. Join by Joaoapps. The best solution for me. The same guy that build Tasker app. It sends : Call, SMS, Paste, URL, Contact, Agenda. WeTransfer should be on this list. No, not really. The goal is to sync notifications and send sms from all your devices, not transfer files. MightyText is no longer free--first they charged for more than 500 texts per month, and today they've cut this in half to 250/month. This is ridiculous and makes the app nearly useless. On top of this, the app has severe syncing issues with Lollipop and Marshmallow Android. Agreed. And, now I believe the free limit has been reduced to 200 messages/month. Just slightly more than Pushbullet at this point. Down vote on AirDroid, no linux support. I'm using HyraxHub which allows sharing clipboard with any kind of data and also has notification mirroring feature. I'm disappointed that all of these are either pay apps or are browser add-ons rather than proper programs. I guess that's why Pushbullet was the king. Hopefully one of these alternatives gets the hint! Yappy now has a native Windows desktop app. Hope that helps! I mostly use Pushbullet to send links between my Android smartphone and my iPad. Is there anything that also works with iOS? Oh that's cool. I never had an iOS device so that use case is new to me. Thanks robert! Myphonedesktop is a good app for pasting clipboard items from your computer to your phone. I also sometimes use trillian for this. I was unaware of Myphonedesktop, so thanks for the mention. I'll try it with my iPad. Nice, good to know. Thanks Bob! I use KDE Connect, but obviously that solution works only if you use the KDE desktop. The KDE limitation is a pretty big deal, but it's nice to know that the option is out there. I'm using Unity so unfortunately it's not for me. Thanks for sharing, Colonel! I was never a unity fan but most kde and gnome apps can be used interchangeably as long as you have the correct libraries to run them.